The IRP ecommerce equation is an extremely simple, yet extremely effective formula for calculating the growth of your online sales. Use the IRP Ecommerce Calculator here. NOTE that currently you can use this only on a desktop or laptop computer. The tool is very intuitive — move the sliders and see the effect on your sales and your profit. The rest of this article explains some of the key features of the calculator, including the properties you can use to customise the tool and definitions of the metrics that the tool uses. Number of Visitors: Adjust the slider position and see the how your total sales figure changes. See the effect on your CPA% and your Profit. Conversion Rate: See how much extra revenue you can gain in, say, 6 months by optimising Conversion Rate now rather than in 6 months’ time. Average Order Value: If extra traffic has pushed up your CPA, see how to get your CPA down again by making incremental adjustments to the Conversion Rate and Average Order Value. Marketing Costs: Predict future sales and advertising costs by adjusting the Marketing Costs slider. You can also type directly in the Costs box. Target CPA%: Enter a realistic target for your CPA%. This is for reference only, however the CPA% box will be shaded green when the CPA% figure is below the value you have entered in the Target CPA% box. If the CPA% is greater than your target CPA% then the box will be shaded red. Costs: Predict future sales and advertising costs by typing directly in the Costs box. You can also adjust the Marketing Costs slider. You can change the values of the lower and upper boundaries of all the sliders by clicking the plus sign (+) at the right side of the Sales panel and the Marketing Costs panel. As with all the other features in the tool, you can also adjust these using the query string parameters described later in this article. Click the Reset button to set the tool back to its default values. This is essentially the same as refreshing the screen. If you want to delete a calculation, click the red ‘X’ at the right side of the row. You’ll be prompted to confirm that you want to remove the record. Click OK to proceed with the deletion. Note: Your saved calculations are displayed only as long as you stay on the screen without refreshing. If you close the page or refresh it, the calculations will no longer be available and the values for all variables will be reset to their default values. However you can still use the Reset button without losing your calculations. If you want to keep a record of the calculations, including any changes you make using the query string parameters described later in this article, make sure that you keep a copy of the URL. Alternatively you could grab a screen capture and save it locally. AOV: This is Average Order Value. It is defined as the total revenue / number of transactions. Conversion Rate: This is the percentage of website visitors who convert to buying customers. It is defined as the total number of sales / total number of visits (whether new or returning). CPA%: This is the Cost Per Acquisition. It is defined as the % total cost of online marketing spend / total gross sales from marketing channels * 100. Number of Visitors: As the visitors increase, the CPV decreases. Marketing Costs: As the costs increase, the CPV also increases. Target CPA: This is your own, self-imposed target for your CPA%. This is for reference only and doesn’t have an effect on the calculations. Revenue Per Customer: This is defined as Total Sales / Number of Visitors. Transactions: This is defined as (Number of Visitors / 100) * Conversion Rate. If you want to customise the tool, you can enter several query string parameters directly in the IRP Ecommerce Calculator. Type an initial question mark (?) in the address bar after the address of the calculator: /IRPWorldCommerceCalculator.aspx? Type an ‘equals’ sign (=). To add more parameters, type an ampersand (&) after the last parameter then type in or paste another parameter and add a value — you don’t have to type another question mark (?). CustomMessage: Use this parameter to add any message you want at the top of the calculator. It will appear between the top banner and the Sales section. CustomImage: Use this parameter to add an image in the top banner, replacing the default IRP logo. Simply enter the URL of the image. CustomTitle: Use this parameter to add a title of your choosing to the top banner, replacing the default ‘Ecommerce Sales Equation’ (as shown in the example above). TargetCPAPercentage: Use this parameter to fill in the value of the Target CPA% field. CurrencyISO: Use this parameter to change the default currency, e.g. AUD, SEK, etc. NumberOfVisitors: Use this parameter to fill in the value of the Number Of Visitors field. NumberOfVisitorsLowerBoundary: Use this parameter to set the lower boundary for the Number Of Visitors field. NumberOfVisitorsUpperBoundary: Use this parameter to set the upper boundary for the Number Of Visitors field. ConversionRatePercentage: Use this parameter to fill in the value of the Conversion Rate% field. ConversionRatePercentageLowerBoundary: Use this parameter to set the lower boundary for the Conversion Rate% field. ConversionRatePercentageUpperBoundary: Use this parameter to set the upper boundary for the Conversion Rate% field. 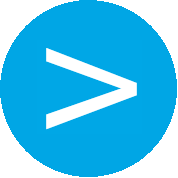 AverageOrderValue: Use this parameter to fill in the value of the Average Order Value field. AverageOrderValueLowerBoundary: Use this parameter to set the lower boundary for the Average Order Value field. AverageOrderValueUpperBoundary: Use this parameter to set the upper boundary for the Average Order Value field. TotalSpend: Use this parameter to fill in the value of the Marketing Costs field. TotalSpendLowerBoundary: Use this parameter to set the lower boundary for the Marketing Costs field. TotalSpendUpperBoundary: Use this parameter to set the upper boundary for the Marketing Costs field. To get a feel for how the IRP Ecommerce Calculator works, try following these steps. Your Total Sales and Profit should now read 20000. Whilst your Total Sales remain at 20000, your Profit should now read 15000. Set the Marketing Costs slider to 0. Type ‘0’ in the Target CPA% box and press Enter on your keyboard. Set the Number of Visitors to 10000. You can do this either by moving the slider or by typing directly in the Visitors box and pressing Enter on your keyboard. Set the Average Order Value to 100. You can do this either by moving the slider or by typing directly in the Average Order Value box and pressing Enter on your keyboard. Now think of a target CPA%. For example, type ‘5’ in the Target CPA% box in the Marketing Costs panel and press Enter on your keyboard. CPA%: 25.00 and is shaded red as it is greater than the Target CPA% figure. Now try making adjustments to your Number of Visitors, Conversion Rate% and Average Order Value to see how you can bring down your CPA% closer to your Target CPA%.